Featured amenities include a business center, express check-in, and express check-out. Guests may use a train station pick-up service for a surcharge, and self parking (subject to charges) is available onsite. Grab a bite to eat at the Cenobio, a restaurant where you can take in the pool view, or stay in and take advantage of room service (during limited hours). Wrap up your day with a drink at the bar/lounge. A complimentary local cuisine breakfast is served daily from 7 AM to 10 AM. 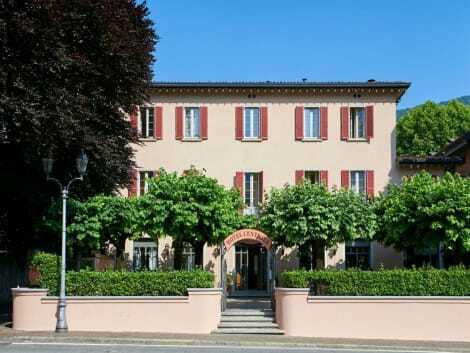 This 5 star hotel is located on the coastline of Como and was established in 1568. It is a short drive away from the Como and the nearest station is Como San Giovanni. The Hotel has 2 restaurants, 2 bars, a conference room, an indoor swimming pool, an outdoor swimming pool and a fitness centre/gym. All 152 rooms are equipped with minibar, hairdryer, safe and air conditioning. Make yourself at home in one of the 5 guestrooms. lastminute.com has a fantastic range of hotels in Cernobbio, with everything from cheap hotels to luxurious five star accommodation available. We like to live up to our last minute name so remember you can book any one of our excellent Cernobbio hotels up until midnight and stay the same night.